Don’t miss important filing deadlines. Contact Masler & Associates today! 2018 TAX REFORM: Learn About the Tax Relief for Big Capital Gains & Who Can Benefit from Section 199A 20% Deduction? With over 20 years of experience in healthcare, we can help your medical practice. Refer-a-Friend and get 50 bucks! Get $50 towards your tax return, when you refer-a-friend to Masler & Associates. 2018 Tax Season - Bring it on, we are ready! Welcome to Masler & Associates, Certified Public Accountants proudly serving Irvine, California and the greater Orange County area. Masler & Associates, CPAs is a family-owned and operated CPA firm whose philosophy is to build long-standing, trusting relationships with our clients. We seek to offer more than just basic “facts and figures”. Our mission is to treat every client with the individualized attention they deserve. 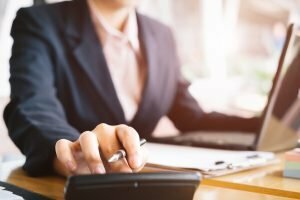 Year after year we remain one of the top CPA firms in Orange County as evidenced by the countless professional referrals and client testimonials we receive on regular basis. We offer exceptional financial services for individuals & small business. We are a “boutique” firm that can handle a variety of needs in-house. Our accounting staff is sought after for their experience and expertise. Deadline for filing a 2018 personal or calendar year estates/trusts tax returns or extension. April 15, 2019, is the deadline for filing a 2018 personal or calendar year estates/trusts tax returns or extension. If you are in need of assistance, please contact Masler & Associates. Deadline for resubmitting or paper-filing a rejected federal return that was originally e-filed by the April 15 deadline if you did not file an extension. April 20, 2019, is the deadline for resubmitting or paper-filing a rejected federal return that was originally e-filed by the April 15 deadline if you did not file an extension. If you are in need of assistance, please contact Masler & Associates. June 15, 2019, is the deadline if you are self-employed or have other second-quarter income that requires you to pay quarterly estimated taxes. If you are in need of assistance, please contact Masler & Associates. The Masler CPA team is very courteous, professional, and helpful in solving financial concerns. They thoughtfully consider each situation in context of our business before providing feedback. They are an essential component of our company’s financial journey, and we highly recommend them. Excellent CPA firm! Very responsive, helpful, and knowledgeable with various tax laws that we needed help with! Masler & Associates is an excellent CPA firm. Sharon has been doing our taxes for years and is always very thorough in making sure we claim every deduction allowable. Our taxes are complex due to working out of country and also owning a business. Masler & Associates knows how to handle all the minutia. Most importantly, everyone at the firm is “down to earth” and very helpful. I would highly recommend them to everyone: from folks that have simple returns to those with the most complex tax situations. Sharon and her staff have been a great help for us to understand not only tax laws, but also how to use Quickbooks, and keep it organized. Of course we could never do it all perfectly, which is why we feel so lucky that her team is very knowledgeable, professional, and always very patient. We have had a wonderful experience with them for the past 8 years, and we are definitely looking forward to keeping them as our CPA for many more. I definitely recommend her services. Love these folks! I highly recommend them, especially for corporate and personal tax complexities. I give them a workout on my tax needs and they always come through with flying colors to find all the deductions allowed to save me big bucks! The result of the audit, you ask? Masler & Associates turned an upside-down situation right-side up. Long story short, they negotiated our huge tax bill into a substantial refund! The crew at Masler and Associates go the extra mile to make you feel taken care of. They work hard to get every deduction possible, and push you to find every receipt so there is no questions later. Masler & Associates is a knowledgable accounting firm. When I call with a question about deductions I am answered within 24 hours. 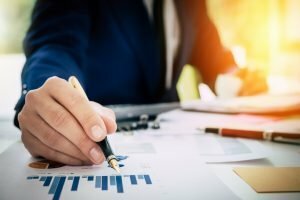 M&A has helped me to pay less year after year. 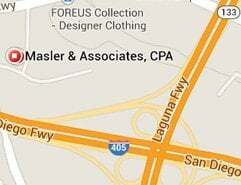 We conducted an extensive interview process of CPA firms in Orange County and Masler & Associates clearly stood out. 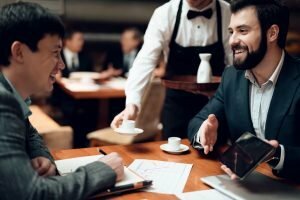 Expertise and customer service – what more could you ask for? Masler and Associates has been exceptional in handling both my business and personal bookkeeping and taxes. They are prepared to answer any questions that I may have and are so helpful and attentive to our needs. Steve Masler, CPA has been an asset to my business by taking the time to help me understand accounting procedures, and by quickly handling my business needs when I need help. Sharon recently completed our personal income tax returns and we found her work to be both conscientious and comprehensive. We are very pleased with her efforts on our behalf and we look forward to a long and expanding relationship. My wife and I have been doing all of our business and personal accounting with Masler and associates for over 5 years. We have several businesses and the team at Masler and associates is always extremely helpful and quick to respond to our needs. We have worked with Steve and Sharon Masler and their team for more than five years, and we are delighted with our relationship. Everyone at Masler & Associates is friendly and professional, and our questions are answered immediately.